Exquisite style business template OT Sienna is made in rich, dark colors. 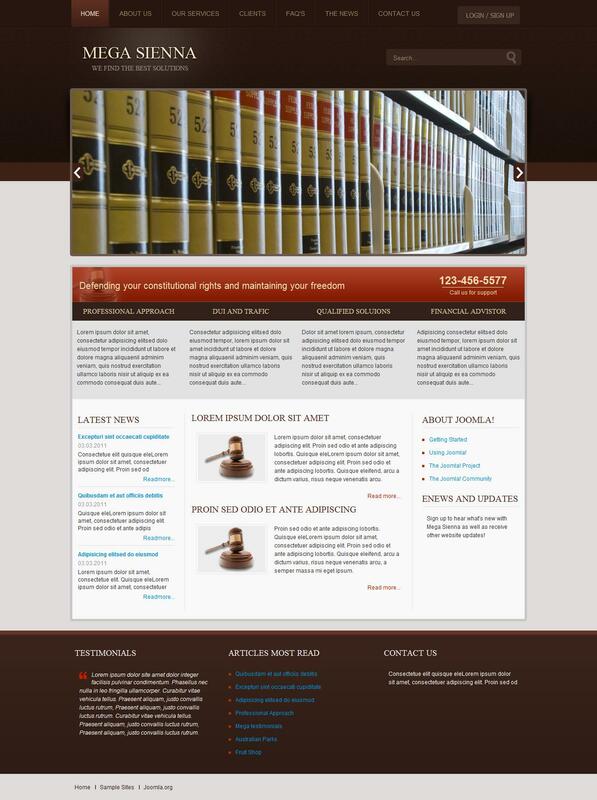 Template creator is a studio OmegaTheme, which made it suitable for business sites, banking sites, and sites of law firms and others. Template for working in Joomla 1.5 version to 1.7. It operates on the basis of Solid Framework. Layout includes optimized code, 17 module positions and absolute compatibility with popular web browsers.